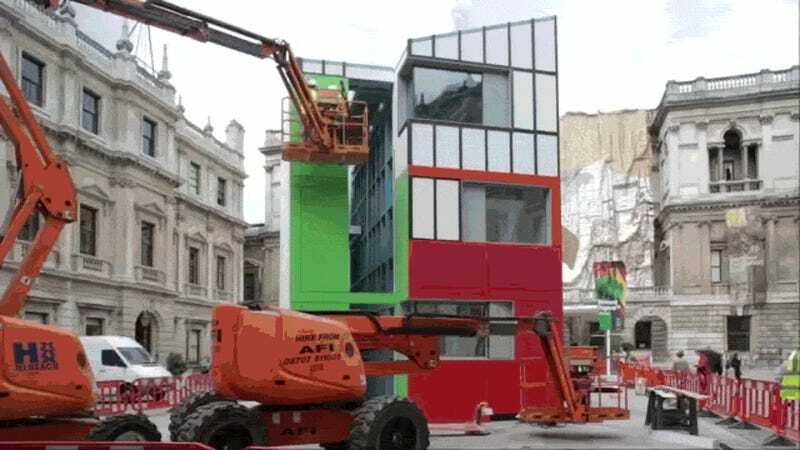 If you're familiar with architect Richard Rogers, it's likely through buildings like the Pompidou Center and the London Shard, where the guts of the structure—from elevators to plumbing—are put on display. But did you know Rogers is also pioneering a new generation of flatpack prefab housing? The panels have the advantage of being lightweight, very fire and water retardant, and even earthquake and hurricane proof. A patented jointing system ensures high levels of both acoustic and thermal insulation and the system offers the potential to reduce energy bills by up to 90%, thereby helping to alleviate fuel poverty, a growing issue in Britain today.